The South East Caucus of the National Assembly, especially, the Senate, has a bill – the South East Development Bill before the house that awaits to be made into a law to fasten development of the zone. 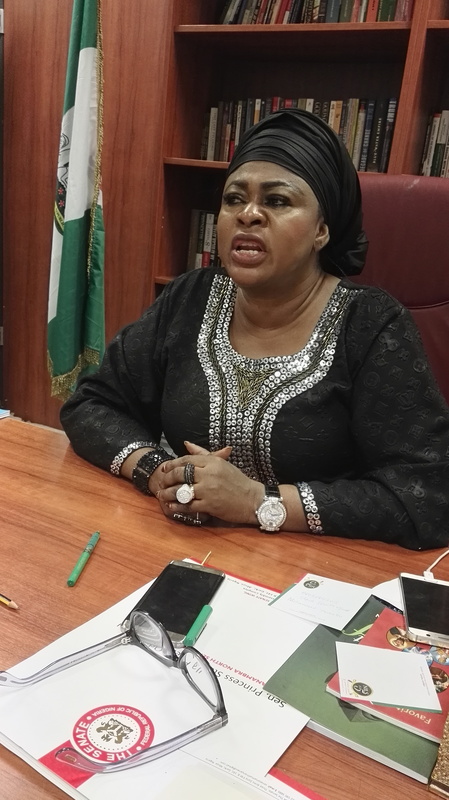 The originator of the bill, Senator Stella Oduah explained the details and content of the bill which hardly featured in the public domain since its birth. She noted the timing, importance and modalities of the implementation and that it targets at national benefits rather than a sectional interest. The bill came as a result of the clear disparity and lack of infrastructure that has been evident in the South East and also to create awareness and proffer a solution to bring an end to it. Even if the gap is not bridged, but the implementation would mainstream the lacuna that exists there that from the beginning to the end of the zone, there is nothing there to show they belong to the nation. In bringing the bill into a law, a lot will happen including the creation of a sense of belonging to the people of the region and also that would engender economic liberation and development as opportunities would be created for the people. Today, if you go round the South East, you will clearly see the potential. We are locked in and out an to unlock the situation, you need to have that federal presence to intervene and assist create that sense of belonging, create the possibility and cancel the wide disparity and ensure that the gap ceases to be as wide as it is today. Implementing it involves the participation of various arms or government and agencies including the federal government, the states, the LGA and even the private sector and individual players. Immediately the law that propels this is made, the potentials would open and people will see and key into it and unlock the possibilities so that the people of the region would even think back home and make a difference. So through that we can have economic activities. For instance, there is no reason the zone won’t have inland container terminals rather than allow them travel all the way to Port Harcourt and Lagos to clear their containers. That is the way it is done globally, yet, we have these in Kaduna and Kano, so why not the South East. Yes, we are landlocked and yet we have a demography that lopsides towards the youth and they need skills which are lacking because if today there is a move for mass industrialization, the region lacks the right skilled manpower at the middle or lower level to drive it and that must be unlocked too and that is part of the things we target to achieve through that law. We have to create avenues to make them employeable otherwise we would be plotting and waiting for the day the time bomb would explode and one day that would happen if we keep keeping quiet. I must state it clear that the present APC government didn’t create the problems. They weren’t created by PDP either, but it has been allowed to fester over the years and the effects worsen and that has to handled now, otherwise it gets compounded to a level that would not be contained anymore. So anybody that loves the nation should align with and support that bill to succeed because it is for the good of the nation as far as a spillover of social crisis would one day affect the entire nation. We should not allow that to happen when we have the ability to check it. It is only this bill that would make the zone a matter of priority for development to create the industrial clusters and unlock the potentials of the area to create regional economies and propel national development. The benefits are so many and enormous. If we do that, the entire region, including West African countries, beyond Nigeria will benefit. With such possibilities, one can live in Aba and work in Enugu or live in Abakaliki or Onitsha and work in Owerri and get back the same day through railway linkages. I said it earlier that the problem did not start now. And I point out very importantly that it is not about President Buhari or the party in power. It’s about Nigeria. The timing is proper and due because we have seen it escalating from the past, especially since after the war for close to 50 years, and the longer we wait the worse it festers. Truth we should tell ourselves is that the quietness over the problem is what is worsening the unemployment and lack of economic opportunity of the east and the escalation of agitations everyday. This bill when made into law would create the avenues for these young people to be profitably engaged and the social malaise would be over. The question of the bill coming now as timely or not does not arise because the governance of Nigeria is a continuation and there is no time every problem or challenges would be handled one day. There are still other unsolved issues that would arise in years to come and they should be handled as they come. Let nobody align the timing to the lopsidedness of the appointments of present administration against the South East. It is rather about solving a problem that had accumulated unattended for years. So today is just the right time to handle it. The bill represents all of us from the zone in the National Assembly, but somehow it is aligned to me as originator though I don’t take credit for it because we all own it, in fact the entire nation and National Assembly own it because every bill has a source. Don’t forget that I had not been in the legislature in the past until this 8th Assembly. So it is just timely and not targeted at anyone or just like a bolt out of the blues because the need had always been there, and the earlier the far better. I had said that the problems of neglect of the region didn’t start today, and since the past, solving it had not been accelerated effort, but because the media is more open and more encompassing today, the existence is amplified and as we progress in democracy, the level of awareness of our people grows and they speak out more today against those injustices and neglect of the past than ever before. But definitely, something needs to be done now and today and we must have a dialogue that creates the possibilities in the region and also fosters that enabling environment where we can trade, farm, manufacture and do all we can do best. Yes, we need the federal government in it because we are still part of this Nigerian and Sons Limited. We are part of the nation, we are still here and have no other country and the way Nigeria is structured, most things done in other regions are also from the federal might like the Niger Delta Amnesty, the effort to rebuild the North East after terror devastation, the policies that enable economic growth and also funding through the federal allocation. And we made it clear that since the resources to the states flow from the national, let a foundation or fund be created to empower the deduction from source from the allocations of the states of the South East of a certain percentage as part of the funding to create a pool, bring in the private sector and possibly external investors and create these enablers. The central government must be involved just like the region and other entities as I mentioned earlier. Such effort would not be left to the legislation of the five states of the region as separate entities. So it is best handled at the centre even when the federal government in our system controls every other government tiers. If a particular part of the nation has an issue as big as this, it must just be mainstreamed by the federal government, not as a favour, but as matter of compelling importance to the life of the entire country. The states would play their roles, so also the LGA, private sector and many more, and even the national legislature which ensures that the law to bring it to life is created, which the starting point and where we are today. In accelerated manner, legislators from the South East are working together to make sure the bill is not just passed but passed expeditiously in order not to lose the essence. I am sure the bill would be passed soon even though it was dropped or suffered temporal setback at the House or Representatives. I might attribute that to misunderstanding of the content of the bill and maybe in addition to the presentation. With the new move that has adopted better awareness and enlightenment of the members of the NASS, I am sure the Senate would not have problem about it. And for the House, the bill will be brought back and passed through the crucible and it will certainly get done and we are sure it will. The bill is not about leaving the nation or creating what doesn’t exist. It is about repairing a broken part of the nation. It is about recreating the sense of belonging of a part of the country. It is about mending fences and correcting past errors. And what concerns the South East is national concern. I have no doubt that we will get the numbers to pass the bill and it is about nation building. We are just appealing to the conscience of the people and members who I am sure are enlightened to see the need to prioritize the concern of the region as national concern. It is the same country and we need and work with each other from other regions and all parts of the country to get things done for the good of Nigeria, and this bill won’t be an exception. That is why I assure that the House of Representatives will take it up again and with better information, it will be fast. It will involve lump sum funding by the federal government for the take off and also the states share in this and what it involved, regarding funding is affordable by the federal government. After that, a Fund manages it drawn entirely from the private sector for profitability and with continuesd deductions from the state governments and capital creation by the Fund and investors. On whether the states of the region have been doing anything on their own, I am sure, though not holding brief for them that they have done their best in the past and the expected bill would provide for ways of supporting them do more than ever before. I believe the bill after creating the expected fund would be the umbrella that would warehouse all those efforts of theirs and also make them more effective through contribution in so many ways. By the time we come back from recess, we will work harder and faster on the bill and before the year ends, the Igbo would smile that they have a commission made possible by a government that wants her progress to pick up the ruins and cleanse them into development, equity, justice, fairness which they need as part of the country. Any Igbo man or woman from the south east five states of Republic Of Biafra who do not vacate northern Nigeria, Kwara state, Nigeria federal institutions- security, defence, political etc. before October 1st 2017, is at his or her own risk. Stella Oduah then becomes”The Count of Monte Christo.”.Peter Carlos Hinds.Commander.Barbados. It is not chess you are playing.Peter Carlos Hinds.Commander.Barbados. Certain deer in Europe that mark out territory by the musk organ in their back side.Then lock horns to maintain their harem.Peter Carlos Hinds.Commander.Barbados. Slavery did not end by iniquity.But because it was believed(Falsely? ).That all men were created equal.Peter Carlos Hinds.Commander.Barbados. Well that is what the white man wants.Not Nigeria but a north and south Nigeria.Like a north and south Sudan.Black people should be weary of the white man’s divide and rule tactics.Peter Carlos Hinds.Commander.Barbados. Barbadians are of Igbo decent.Consisting of slaves from the Igo tribe.Peter Carlos Hinds.Commander.Barbados. @Peter, I found out that the British bandits knowing the Igbos, distinguished them as favourites in the Caribean. 21st century Africa will unite the past of Africa.